Snap Swivels are used to reduce twisting of shroud lines on parachutes and allow you to easily swap parachutes or streamers on your models. Interlocking swivels provide an extra bit of reliability for most size models. 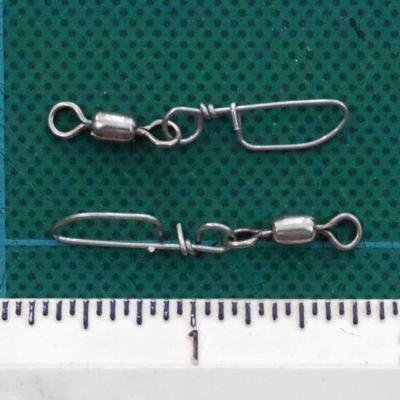 Size 7 interlocking swivel has a total length of about 1.375".